After one year of development, AJP has finally launched the much-anticipated PR7. 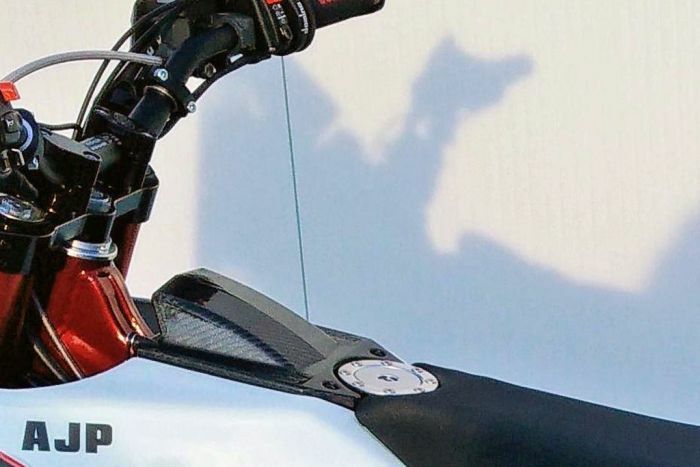 A prototype version was revealed over a year ago however the final version has now been launched at the EICMA show in Milan. 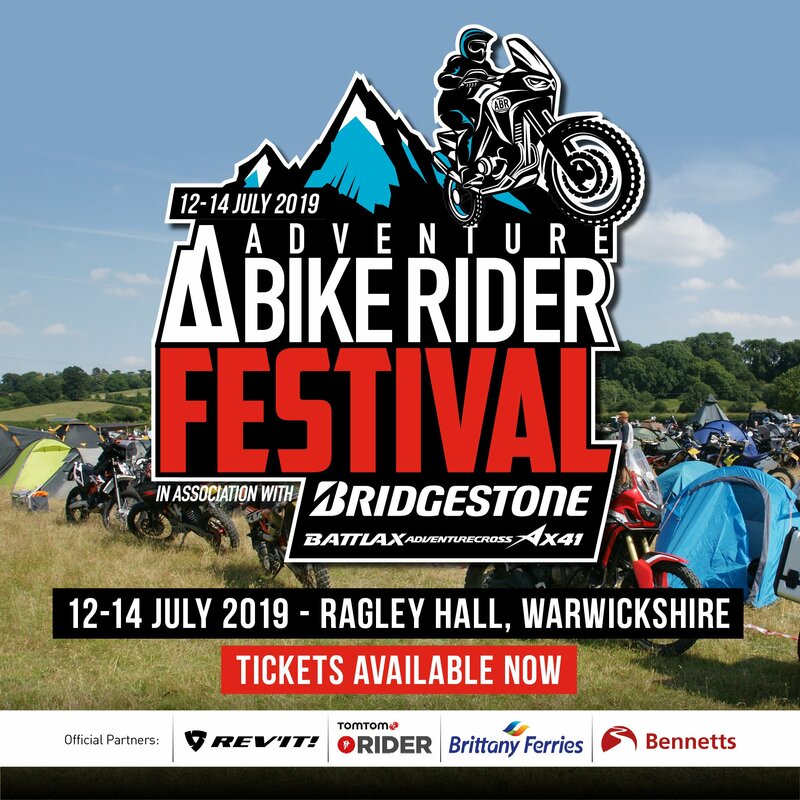 The PR7 has been designed with the off-road enthusiasts in the adventure touring sector and while many manufacturers lean towards large capacity models orientated toward road use, AJP has stuck to their roots with their newest model. 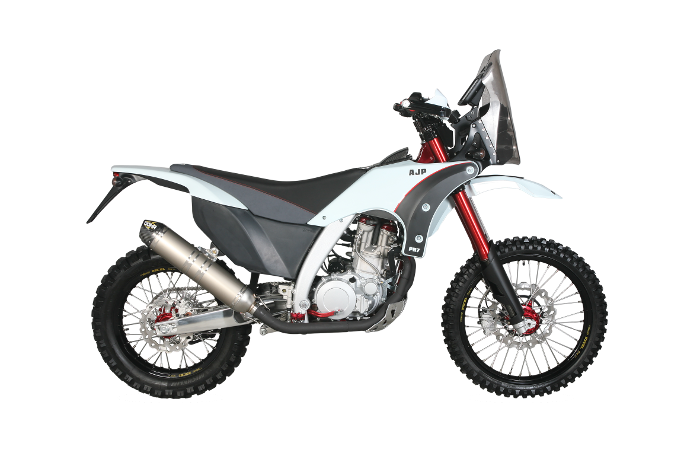 Featuring a 600cc single cylinder, liquid-cooled engine, the bike has been created with the Portuguese manufacturer’s off-road ideals at its core – think lightweight, compact, agile, but also comfortable, capable of good mileage and designed to carry luggage. Just as with the model’s first prototype, the PR7 utilises a hybrid aluminium and steel frame which they say is now even lighter, more compact and rigid with twin spars bolted to the steering head that second as an oil reservoir too. The PR7 features top-shelf suspension components with a fully-adjustable inverted front fork, stout 48mm internal tubes and 300mm of travel. On the rear you can expect to find a cast aluminium swing arm while a fully-adjustable piggyback rear shock also offers 280mm of travel. Stopping power is provided through a single 300mm front disc which is operated by a two piston calliper while there is also a 240mm rear rotor. 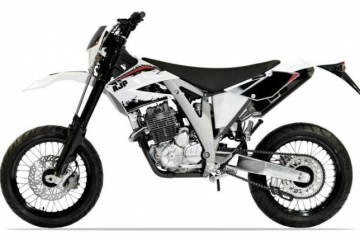 As you would expect from AJP-manufactured motorcycles, the dimensions of the PR7 remain compact which is said to offer great ergonomics for stand-up riding. The fuel tank has been positioned under the seat to help keep weight centralised and that has also helped maintain a narrow profile. A respectable fuel capacity of 17 litres is on offer which is accessed via the fuel cap in front of the seat – a change from the first prototype that was revealed. 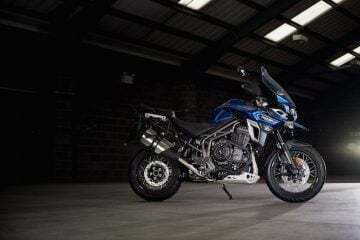 Weighing in at just 165kg with all fuel and fluids, the PR7 is certainly at the lighter end of the adventure bike market which is sure to please many interested motorcyclists. The PR7’s off-road credentials are further compounded with the inclusion of traditional off-road wheel sizes (90/90-21 and 140/80-18 tyres, front and rear respectively), plus heavy duty spokes, rims and hubs. 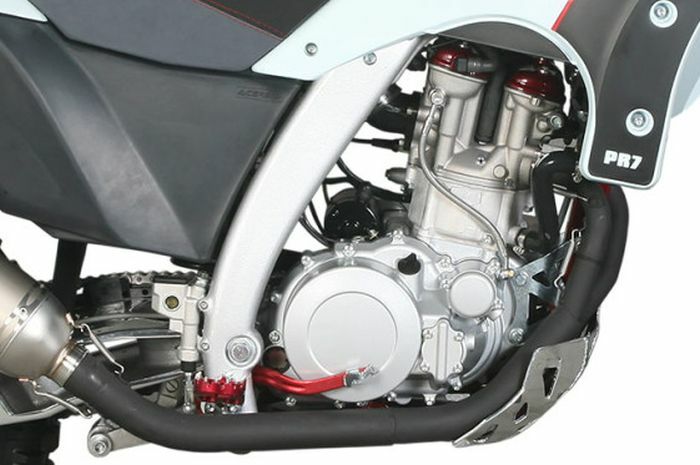 AJP claim the 600cc, single-cylinder engine (produced by Italian manufacturer SWM) is compact and light offering the perfect fit for the philosophy behind the model. It is the same engine that was also used in the Husqvarna TE630 until 2013. A balance shaft has been included in an attempt to reduce vibration while a six-speed gearbox is also present. The bore and stroke ratio is conventional and is said to produce good torque at low to mid RPM and is fed by a modern fuel injection system with a 45mm throttle body. The new bike, which AJP believe is also versatile enough to travel comfortably on the road at speed, is expected to be available for sale in the UK by September 2016 and we’ve been told that it should be retailing near the €10,000 (approx £7,000) mark.